This website is archived as of 6/12/06. It is no longer updated. 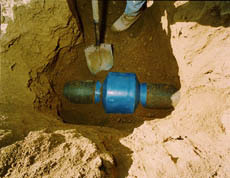 Jenguard's Pre-Tap Pipe Collar was featured in the Sept. 2002 Issue of Public Works Magazine. Why the Jenguard Pre-Tap Collar? 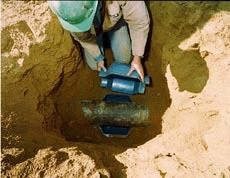 Anyone who has been in the field laying water main pipes or digging them up in order to tap a line knows it can be extremely labor intensive and time consuming. And you know, time costs money. But that's not the only problem when it comes to tapping a utility or fluid line. You always take the chance that during excavation the main line gets damaged, this could cost you thousands of dollars in time and materials. This is why Jenguard created the Pre-Tap Collar. It saves time, labor and reduces the risk of pipe damage. 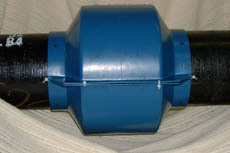 The Jenguard Pre-Tap Collar is placed around the main during initial installation to the fluid line. The top half is removed just before tapping the smaller service line. The Jenguard Pre-Tap Collar provides a pre-determined clearance underneath the main line, for quicker and easier tapping. 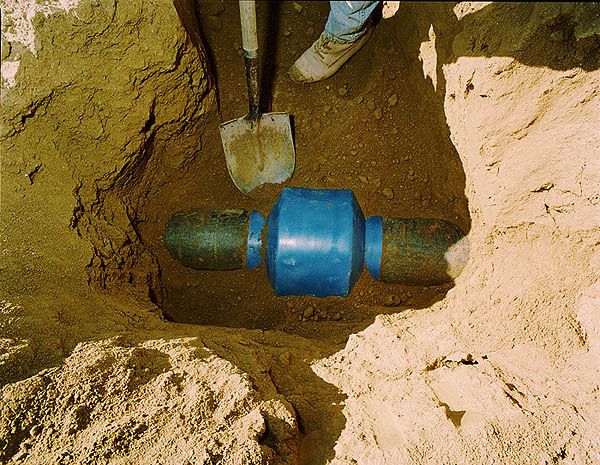 The Jenguard Pre-Tap Collar also provides protection of the main line from being damaged by excavation equipment. The Jenguard Pre-Tap Collar reduces the manual labor of tapping a utility or fluid line, which saves time and money. 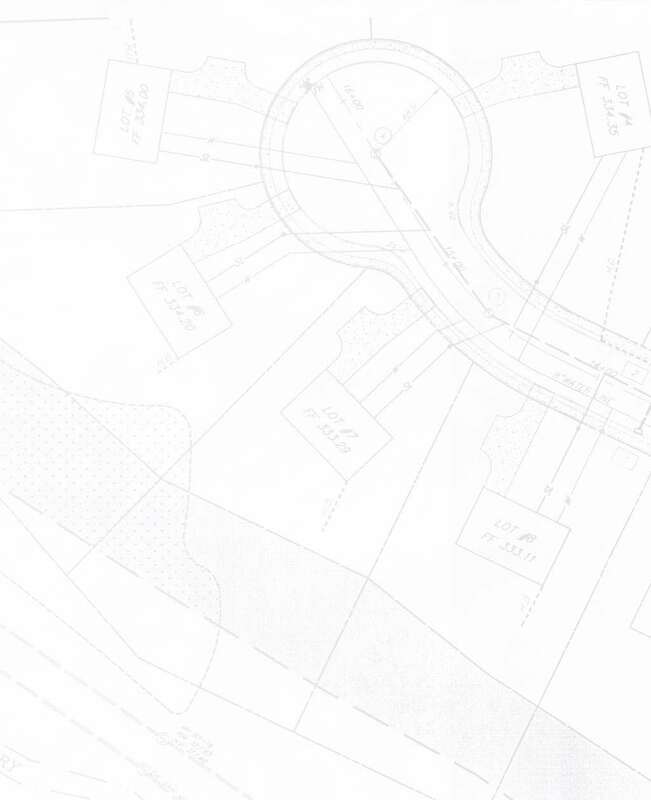 ®Copyright 2001 Jenguard Products, Inc.